Ever since the iPhone was launched by Apple in the middle of 2007, it has been considered to be the next big tech thing. Apple has been able to manage, through its iPhone, to utilize advanced technology in order to create simplicity. It is proven by the numbers that Apple’s concept has been wildly popular. Since then the iPhone has seen new versions starting with the iPhone 3G. In the midst of all of this, Apple has designed and launched the iPad, their next big thing. The success of all of the high tech gadgets has ended up spawning a huge industry for Apps or Application Software. In 2008, it was stated that there were almost 500 apps that were available for the iPod and iPhone. Since that time, these numbers have increased to more than 5 billion downloads on more than 225,000 apps. With even more instrument manufacturers hopping on the bandwagon, it shows that the apps industry is definitely here to stay. It can be tricky trying to market an app in a very competitive and vast market. One of the main reasons is that it is so easy taking the most well-worn path at the cost of seeming stale and trite. People who are wanting to download apps frequently check at app stores for them instead of the search engines. Since the search techniques used by the app stores and search engines are based mainly on similar algorithms, the most important elements for app store algorithms are once again authority and relevancy. The following are a few optimization techniques that may help app creators stand out in a crowded market. To release an app that is search friendly, the process starts with incorporating techniques that are similar to SEO during the early development stages. To get the best ranking possible, use a keyword tool for finding keywords or look at some of the apps that are the most successful in the store. A majority of app stores make it very clear which apps are downloaded the most. Check the trends out with the top ranking apps. Watch for keyword phrases and keywords that an app store is attempting to plug and try to piggyback off of those keywords. From this, you can find keywords and phrases for your app that are the most relevant as well as being search friendly. View keywords as hooks to raise you up to the top search ranks in the app stores. After you are sure about your keywords, then you want to make sure they count. Your keywords should be placed strategically in your app beginning with inside the actual app. Frequently the developer name is overlooked as being an important keyword location. However, putting keywords within the developer name, it can help with your relevancy with the search spiders compared to your competitors’ apps. Make sure your keywords are included in your tags, summary, name, and title. The app description is the most important place for your keywords to be. Use keywords ethically that best describe your app. Keep it spam-free and short. The importance of a well-suited descriptive name for your app simply cannot be overstated. You should avoid being clever at the expense of having a descriptive name at all costs. Instead, you should be as straightforward and simple as possible. For example, it is better to call a compressing app “Compress It” instead of “Zip Zap.” Using search-friendly keywords is much better. An excellent way to get visibility for your app among all of the others that are in the store is through asking used for a review or their feedback. A useful and aesthetic app will tend to get good user reviews. There is a tendency for app search to read user reviews before they choose from similar apps. It is always a good idea to ask for feedback if it is done sincerely. It helps to get useful advice from consumers that you can include in your next version of your app. When it comes to paid apps, you may want to consider developing a freeware. That provides you with the option of including more keywords in your description and provides the users with a teaser on your product. Quite often credibility is attached to apps with a separate freeware. When you get a conversion optimized website established that caters to your apps, it can help with promoting them through other avenues other than the app store. These websites can be optimized for the search engines to provide individuals with a different path to your app. Also, make sure you link to your app download page on the app store from your website. 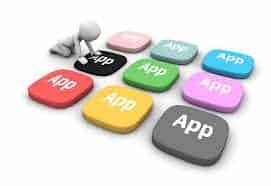 These techniques can be used for optimizing an app for all app stores and aren’t just specific to iTunes or another specific app store.